This double mirror lamp was produced during the 1960s as a light source for 8mm movie projectors. Its novel design employs a double reflector system to produce a powerful beam of collimated without any requirement for external lenses or mirrors. 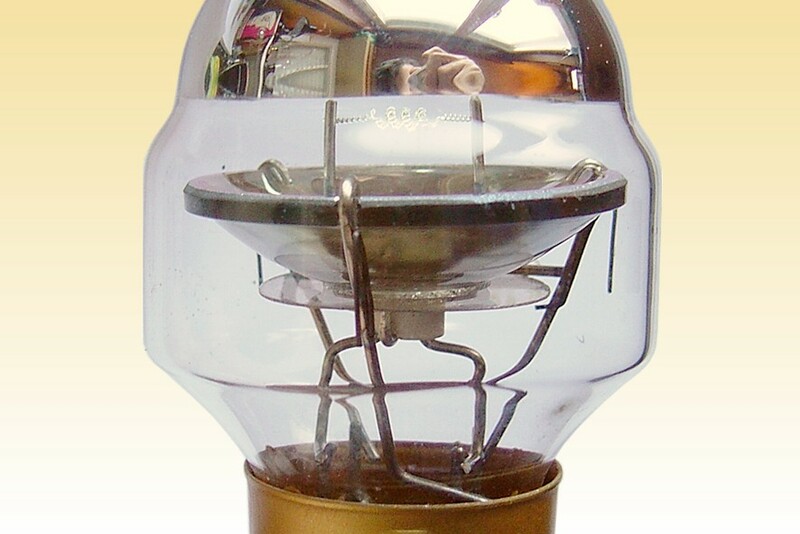 The design bears many similarities to the double reflector lamp type A1/17 (CXR) invented by Philips in 1956, but whose beam is emitted in a direction parallel to rather than perpendicular to the axis of the lamp. At the centre is a coiled-coil transverse filament designed for operation at a low voltage so as to minimise its dimensions. This is mounted at the primary focus of a shallow ellipsoidal reflector, made aluminised glass. This mirror has a second focal point a few millimetres beyond the crown of the glass bulb. However it will be appreciated that only a relatively small portion of the incident light from the filament impinges directly upon this reflector, and consequently the optical efficiency of these two components alone would be poor. The efficiency is raised dramatically by positioning both components such that the filament is located at the focal point of the hemispherically-shaped upper surface of the glass bulb. 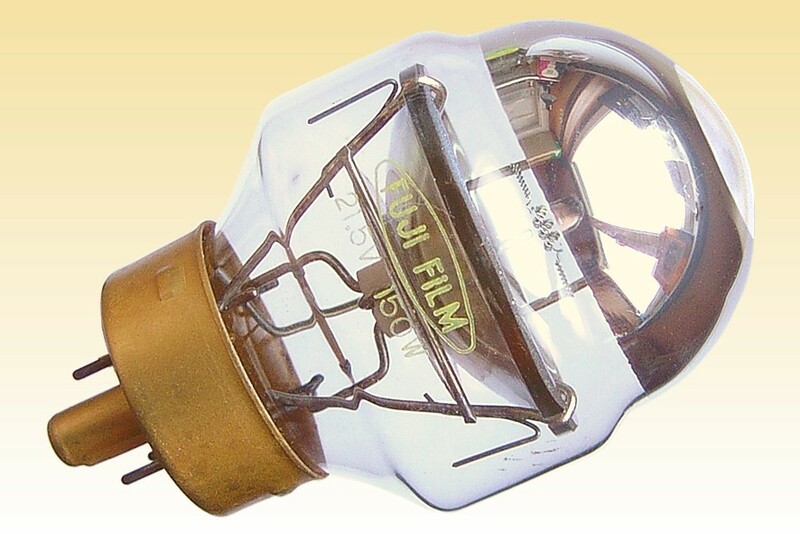 The internal surface of the bulb crown is also aluminised but there is a small diameter window of clear glass at its apex. 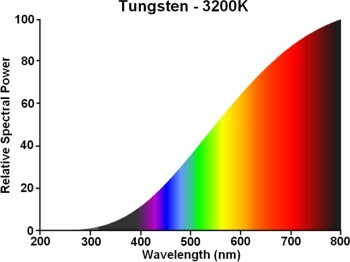 The function of the secondary coating is to capture light which would otherwise be lost from the filament, and owing to its spherical profile these rays are directed back towards the filament, and further on to the rear ellipsoidal mirror. The system thus allows a relatively large portion of the light rays from the filament to be directed onto the ellipsoidal mirror, and concentrated at the second focus above the bulb crown. 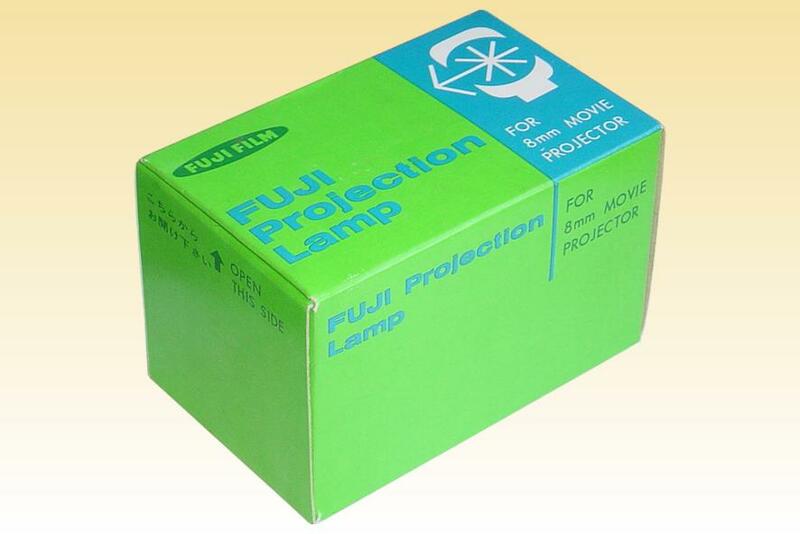 Manufacturer: Fuji Film Photo Co. Ltd.